The Apple Watch might still be a whole month away, but its sequel could be coming before 2015 is out. According to Cowen & Co.’s semiconductor analyst Timothy Arcuri (via Barrons), Apple will launch the Apple Watch 2.0 this year. What’s more, he suggests it won’t need to tether to the iPhone to meet its full potential, which could mean a dedicated SIM card slot built into the watch. 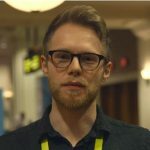 “We got more confirmation of the likelihood of a 2.0 version of the Watch to be launched later this year that will not require iPhone tethering for full connectivity,” said Arcuri. He also said that this will be the first Apple device to use an OLED screen supplied by Samsung. OLED displays for iPhone were also mentioned in the analyst’s comments, however he said that this is ‘still likely a few years out’. The rest of the report detailed how Apple’s Taiwanese supply chains are struggling to meet yield issues. We recently reported on rumours that as many as 70 per cent of Apple Watch units produced carried defects. That’s a grim prospect for Apple, as the company has reported ordered a formidable 3 million units ahead of the April 24 launch. “Our work indicates overall unit supply of 6 million units by June for Apple Watch, with Apple now working with Foxconn to try to improve supply and also trying to develop a parallel supply chain in Japan,” Arcuri explained. Apple has declined to release official comment on any supply chain issues.